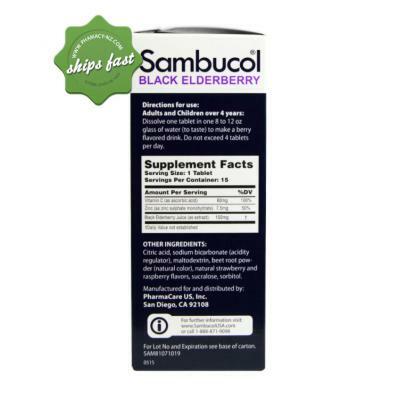 With naturally occurring high levels of antioxidants, this helps support the immune system. The immune system is almost always challenged with all kinds of organisms, may it be virus, bacteria or fungi. It is almost impossible not to get exposed to these. 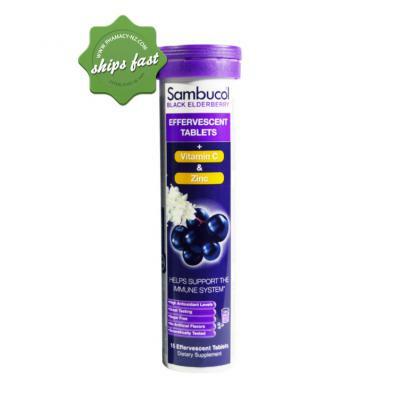 The only way to prevent getting sick all the time is to strengthen the immune system. 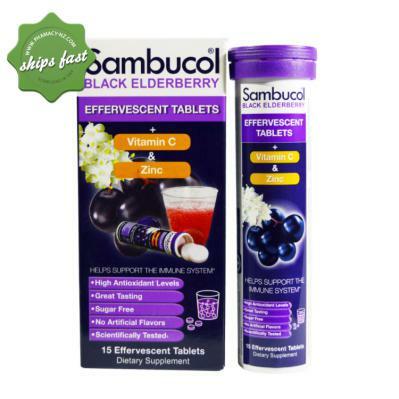 Sambucol Effervescent Tablets offers you help in supporting the immune system. 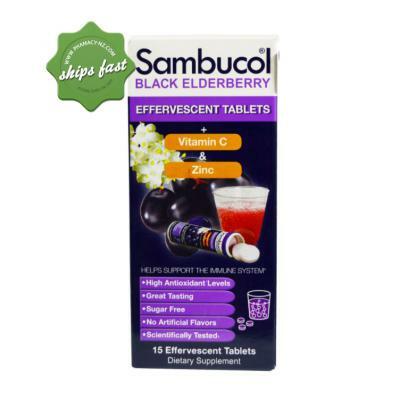 Each tablet contains: 150 mg Black Elderberry Juice, 60mg Vitamin C, 75mg Zinc, Citric Acid, Sodium Bicarbonate, Maltodextrin, Black Elderberry Juice Powder, Ascorbic Acid, Strawberry and Raspberry Natural Flavours, Sucralose, Sorbitol, Zinc Sulphate, Monohydrate, Beetroot Red Powder. Do not exceed the recommended dosage. If symptoms persist, side effects develop or you have an allergic reaction, stop and see your doctor or pharmacist immediately.